This blog post documents my 2014 Philippines Missions Trip, the second trip I have participated on behalf of the Bicol Center for Christian Leadership in Legazpi City, Philippines. I am teaching worship and the arts for two weeks. Posts are written in reverse order (latest is first). For background information, please hit the link. It’s a windy, balmy afternoon in downtown Manila. Our trip to Legazpi is already a memory, as Manila serves as the staging point for the long plane ride home. We’ll be arriving right before Father’s Day, so I will probably spend most of the day napping. I’m looking forward to seeing my wife, my kids, my bed again. But until then, there is time to reflect on the events of the past few weeks and especially of last night. 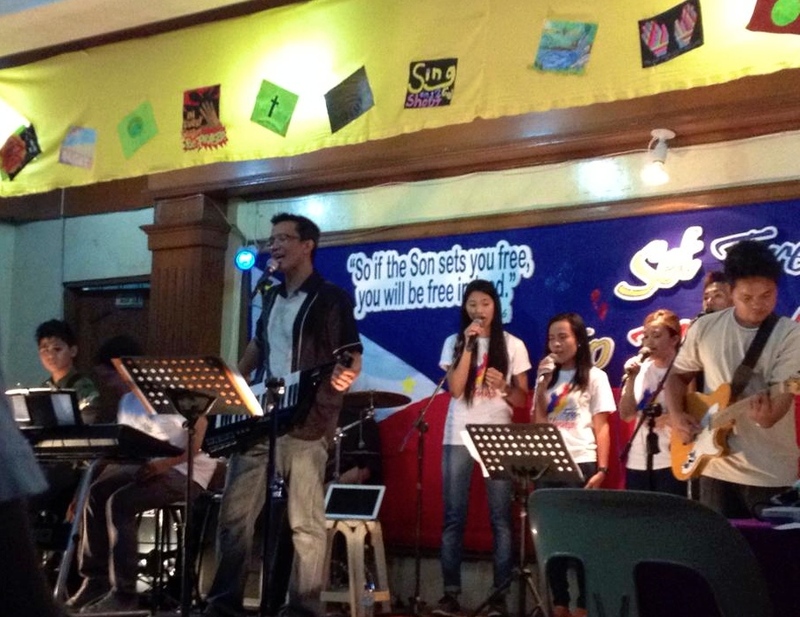 As I mentioned previously, this trip culminated in a large-scale worship concert which BCCL had titled, “Set Free To Worship.” And I would say, it was far, far beyond our expectations in so many ways. Thursday evening, over 300 people jammed into the concert venue located at the Legazpi City Hall building, quite a lot more than the 200+ we were expecting. Represented were dozens of churches from many denominations and faith traditions, both on stage and in the audience. We introduced ten new worship songs to the people, and they were extremely well-received. A spirit of unity very much undergirded the evening, and the Spirit of God was there ushering us in to the throne of the Almighty. In short, it was a blast. For over two hours we participated in a variety of worship expressions—corporate singing, responsive reading, worship dance (flags and streamers) as well as interpretive dance, a musical solo performance, some spoken word narrative, public prayers from representative area pastors, and even more singing. There were even visual expressions as well, as attendees were invited to create art which was displayed. Moreover, the expressions were multi-faceted as well—loud and boisterous, quiet and contemplative, prayers of petition and prayers of thanksgiving, acappella singing and full-band, devotional sermon and Scripture reading. Through the variety of these expressions, it was our hope that the people would begin to see corporate worship in a larger, deeper way. And based on the response of everyone in attendance, I think we achieved our goals. As I reflect on this trip, I would say it was an order of magnitude more effective than my last trip two years ago. While my last trip was primarily teaching a specific worship course for credit involving a few dozen people, this trip was more intensive toward the actual worship leaders and worship teams in many more churches, and we were able to help over a hundred attendees in everything from songwriting, instrumental skills, band skills, directing, and teaching on basic worship theology. We were also able to further help bring together the many churches in a cooperative and personal way. To summarize, our trip was fantastic, God-breathed, and far beyond our expectations. Thank you to everyone who supported this trip financially, prayerfully, emotionally, and in a hundred other different ways. • “Manuel Luz Mania,” is what BCCL Director Mayette laughingly dubbed it. This is the three-month period after I leave when all of the area churches begin to adopt all the new songs I’ve introduced to them. It happened last time, and she predicts it will happen again. More than just a humorous after effect, this trend is purposeful and beneficial as the many churches then have a common musical vocabulary with which to worship together. • Riding the worship current. Quite a few times during the evening, I could sense that the people weren’t ready to stop singing a particular song. So I would double back and continue to lead the song, or I would take the band down, pray in context to the song, and then bring the same song back to sing again. Very much like paddling along with the current. As a worship leader, I can’t tell you how much fun that is. • “Can I have your picture Pastor?” One of the ways that Filipinos express their endearment is by having their photo taken with you. And after the concert, both Nate and I were inundated with dozens of photo ops by everyone in attendance. It was fun but also bittersweet, as it was the last time I would see these people—until I come back next time. Mayette warned us that we would be showing up on different Facebook posts over the next few weeks! • I’m so pleased that Nate Poehlke came with me. He was above and beyond my expectations—in his talents and abilities, in his leadership and teaching, and in his missionary moxie. I know he’s made some friends here too. He’s been a great partner in ministry. I am determined that if and when I go back again, I will be bringing others. • For those interested, the songs we introduced included: “Over All The Earth” by Kristian Stanfill; “Let God Arise” by Chris Tomlin; “Oceans” by Hillsong, “10,000 Reasons” by Matt Redman, “This Is Amazing Grace” by Phil Wickham and Jeremy Riddle, and “Always” by Jason Ingram and Kristian Stanfill. In addition, we took yesterday to turn our small Guest House apartment into a recording studio to record some original songs by a few of the people here. It was an opportunity to musically chronicle our time here, as well as teach some concepts on recording basics. And it was fun too! • Today, June 12, is the Philippines Independence Day, a national holiday commemorating their independence from Spain in 1898. The title of our worship event is a play-on-words to today’s celebration. • We’ve been quietly distributing the different music paraphernalia gifts throughout our trip, to many surprised and thankful recipients. Thanks again for allowing us the ability to do that through your generosity. After being here two weeks, I am finding myself much more comfortable with the culture. I don’t notice the sounds of the traffic going by as much, I’m more oriented to street directions and city landmarks, and I have acclimated to the time change (pretty much). There’s something healthy—spiritually and otherwise—in immersing yourself into a foreign environment. Without the distractions of the day, the artificial props of normalcy, the unnecessary daily habits which can lull oneself to sleep. When you are traveling abroad, especially in a ministry context, you need to be more fully involved in the present moment. So I find myself a little more attune to the Spirit of God right now, knowing that I can’t fake my way through life. I am very much involved in the present moment of each day, very much involved in every conversation and worship time and ministry opportunity. I am very much dependent on God’s provision, His leadings, and on the fellowship of His people. As much as I am here to provide training and teaching and encouragement, the reciprocal ministry opportunity is that the trip is forming me personally. I believe it is true, that we are the product of the accumulation of our experiences, and how we form our souls and character in response to those experiences. Trips like this give us an expanded view of the world, and by inference, an expanded view of God’s work and revelation in the world. Trips like this will expand our hearts and expand our minds too. If you ever have an opportunity to give yourself away in a missions trip or other ministry opportunity, I highly recommend it. You can listen to Christian radio, download sermons, participate in Bible studies—and all these things are extremely good. But unless you’re actively participating in giving yourself away, you are missing out on something important in your discipleship. So as I sit at the terrace of the BCCL Guest House, overlooking the clamor of Jeepneys and pedicars below and the cloudy view of the Mayon volcano above, I’m paying attention to the inner journey of my soul. Because the point of ministry is not only what we do. The point of ministry is also who we are becoming. • Halo-halo! One of my childhood memories involves sitting around with my brothers, feverishly turning the hand crank on an ice shaving machine, so we could make this Filipino dessert called halo-halo. I’ve been reluctant to have some here, because I react to the local water (and ice), but at the reassurance of Mayette and Claire, we had some yesterday. There’s a brand of halo-halo that originated here, and we went to the original store to have some. It was awesome! • Electricity. The power outages we had been experiencing over the last week are becoming less frequent. I was told that the cause was the loss of a transformer which had to be replaced by importing one into the country. While it is now installed, they are still doing testing. Each day here, we’ve had to schedule venues and backup venues in different areas of the city, to hedge our bets against local outages. We’ve had power go out on us several times during workshops, rehearsals, meetings…and once in the shower. • Yesterday, we were treated by our gracious hosts to a day of sightseeing around Albay—including swimming in a black-sand beach, visiting some amazing out-of-the-way resorts, and simply viewing the peaceful countryside from our car ride. This was a great experience, not only because of the company (Mayette and Claire from BCCL were our guides), but we got an inside locals look at the Albay Province. It was very much appreciated! After a full week of ministry (by my count, Nate and I provided 53 hours of intensive teaching, instruction, and worship in six days), we celebrated our Sabbath by joining Albay Bible Community Church in the morning, and relaxing at the guest house the rest of the day. Relaxing included enjoying a full day of electricity (Yay! ), hand washing our laundry, and watching some Filipino television. ABC was one of the churches I spoke at during my last visit here, so it was good to see Pastor Bong and his people again. Our main and final task during the rest of our trip is to program, rehearse, and perform at the Set Free To Worship Concert on Thursday. We’ve been promoting it with everyone, and I’m excited that we have multiple churches firmly behind this event. While the major portion of this event will be musical worship, I’m trying to decide how we can incorporate non-musical worship elements into this event. Stay tuned for more soon. Meanwhile, I thought I would expand on my Fun Facts section to give you a greater sense of life here in the Philippines. • The Monday after we arrived, June 2, was the first day of school for most young people here in Albay province. The local universities (and there are several) begin the following week. This is quite a contrast to the US, where my children had just finished their finals and had their last day of school the previous Friday, May 30. Imagine our surprise when we went to the mall and they were having “Back To School” sales! • Milk is not a large part of the diet here in the Philippines. You can’t go to the grocery store and buy a gallon of cow milk here. Kinda puts a damper on breakfast cereals. I’ve been using evaporated milk as a creamer for my instant coffee. • For those of you who’ve never left the safety of domestic travel, I highly recommend traveling in any country without stop lights, left turn lanes, or seat belt laws. • Sports in the Pilipinas. Filipinos love basketball and they have a national league. It’s a really big deal. Women also participate in sports, and they have professional women’s volleyball among other things. Got a chance to watch a little bit of basketball on TV. 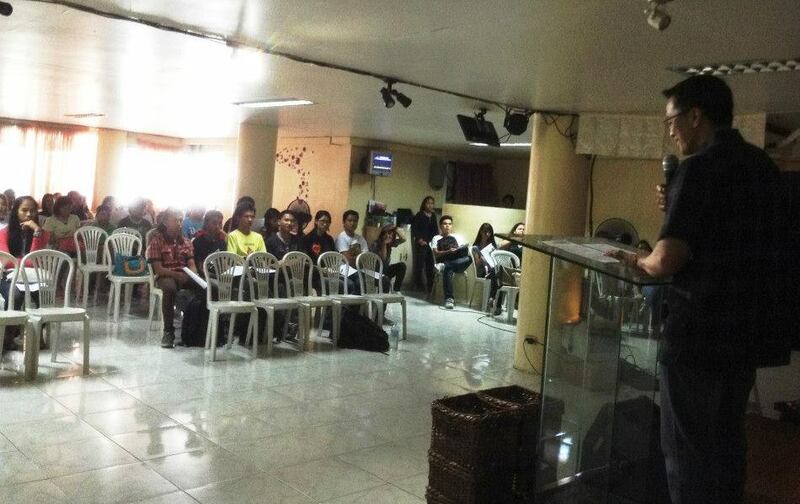 • Last Saturday, we presented an all-day seminar on worship and the arts. It was generally well-received, and I was encouraged to share some out-of-the-box ideas and teach basic theology of the arts. However, when I shared some practical ideas, I got a sense that some of the the things we take for granted in the US cannot be implemented here. There are many reasons for this: (1) The general understanding of what is acceptable and what is not in the local churches; (2) The limited resources that the local churches have; (3) The fact that the arts (outside of worship music) have not generally been encouraged up till now. For example, I was approached several times by people who asked, “Pastor, is it okay for my band to play outside of the church?” Questions such as these are bathed in unspoken nuance, and answers to such questions require equal nuance as well. • The one Drive-Thru restaurant in Legazpi is the “Jollibee,” which is a chain of fast food here in the Philippines. You can get a hamburger and fries, as well as chicken and pork dishes with a side of rice. It’s really good. Of course, I’ve eaten at a number of other places as well, all local establishments offering Filipino foods. There are no Starbucks, Costcos, Targets, and only one McDonald’s (which we have avoided!). There is no such thing as super-sized food, large portions, or free refills. Eating here, I’m reminded of why we have such an obesity problem in America. One of my new food discoveries: Chili Ice Cream. Tastes sweet like strawberries, then hits you with a hot aftertaste. It’s a local invention. • The young people here are FaceBookers, and I’ve invited them to friend me. I carry these young people in my heart, they are so passionate about Jesus and life. I’ve had some wonderful one-on-one and small group conversations with them. And I’m so glad that I brought Nate with me as well. He’s connected with the young people here, as you can imagine. It’s so funny, that there have been a few instances where I feel like I’m traveling with a rock star. Some of the girls here really react to his presence, like I’m hanging with Liam backstage at a One Direction Concert. Hilarious! • Serendipity: One of the worship leading couples I met here told me that they had read one of my blogs that had gone viral, and had shared it with their worship team. It was not until later that someone from their team informed them that the person leading the worship workshops at BCCL (me) was the same person who had written the blog post. I knew theoretically that some of my blog posts were viral, and thus were “international” by definition, but it took me by surprise when I finally met some of these international readers. • I miss my family, and my church family too. Thanks once again for giving me the opportunity to be here and minister with these wonderful people, and be a part of what God is doing here. That being said, the actual ministry has gone much better than anticipated thus far. While it’s been quite fast and furious, it’s also been educational and enriching, gratifying and humbling, spiritually focused and also a ton of fun! WORKSHOP INTENSIVES Our week of worship team intensive workshops concluded this evening, and have been content-rich, both musically and spiritually. Over 90 people attended these workshops (not including guests) throughout the five day sessions. I’m teaching them a little bit of everything I know in the time we have together, and they’re responding amazingly well. Most of all, we’ve worshiped together. Each session, we begin with three new songs that we teach to them. The Filipino believers here are much more engaged in the worship experience than in the US, and it is gratifying and humbling to lead them. Born into an aural tradition, few read music. They all play by ear. 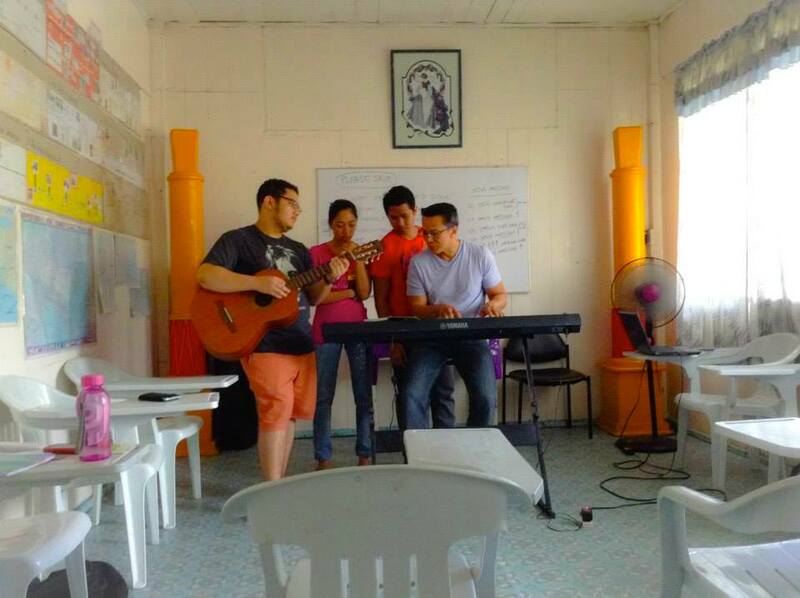 So it is not unusual to teach a brand new song and by the third line, they are already belting it out along with me. Later, we will break each new song down by instrument and component, and teach it to a different set of volunteers. It is also quite gratifying to see a drummer, bassist, vocalists, keyboardists and guitarists from different churches and traditions all playing and learning together. I also led a songwriting intensive workshop (I’ve blogged a little on that here). Each of the attendees worked on 1-3 songs, and yesterday, my teaching culminated in all of us co-writing a song from scratch using all the concepts we had learned throughout the week. I’m so excited for this talented group, that I’ve asked them to introduce this New Song to everyone on Saturday. UPCOMING EVENTS Speaking of Saturday and beyond, we are still in preparations for the All-Day Faith & Arts Seminar on Saturday, as well as the Set Free to Worship Concert next Thursday. Unfortunately, with no power, I haven’t had the time to do any preparation for this all-day seminar (Though this is one of my passions and I regularly travel and speak on this subject, I will be the only speaker at this event, so it will be pretty intense. I will probably have to do four lectures). We are trying to recruit artists to share “out-of-the-box” expressions of the arts so please pray for that. Regarding the Worship Concert, Mayette and I have recruited a worship band from the various worship leaders at the different local churches involved with our workshops. God gave us all the right people, I believe, to make this happen, and I hope and pray that the sight of seeing the different area worship leaders playing together in the same band will help to further unite this Christian community. I’m excited for our rehearsals to begin on Monday. • Please continue to pray for Nate and myself. The six hours per day of workshop intensives, along with prep for the upcoming events, and the time change, extreme heat/humidity, and lack of electricity, are taking its toll on us. Kudos to young Nate for stepping into this leadership role; he has demonstrated a great deal of maturity and grit. • Pray for the two upcoming events, that all the details of the programs would come together, and also that everyone would be bringing their friends to these events. • Pray that they restore power in our area! 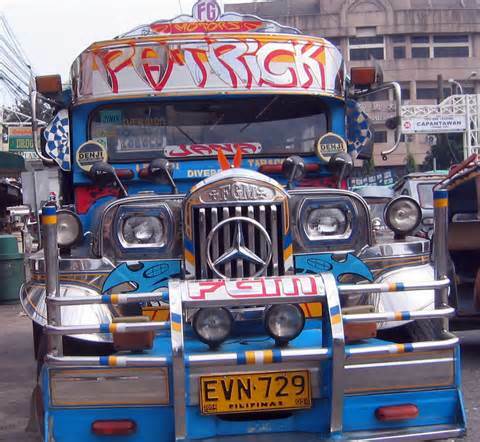 • Nate and I rode a Jeepney solo for the first time together. We rode to the local mall to purchase some supplies and food, then rode back—and got lost. Thankfully, the fresh coconut juice I bought from a street vendor kept me going till we got home. • During my last Philippines missions trip, I mentioned a term used by Filipinos: “Nosebleeds.” The word is used sometimes to describe the difficulty a Filipino may have communicating in English to an American. So I have to remember to be careful with my slang, and also slow down my speech a little bit and enunciate better. But it works both ways as well. Nate and I have to concentrate during our conversations to make sure we negotiate the subtleties of accent when our friends are speaking to us. When in doubt, smile! • I start out each morning with a cup of room-temperature instant coffee, no cream. If you’re sipping a Starbucks as you read this, be grateful! One of the musical styles we like to use occasionally in our worship is playing “Unplugged.” Typically that means that the band plays all acoustic instruments—acoustic guitars, acoustic bass, acoustic piano, and djembe, cajon, and shakers in place of a drum set. The band will often play on stools in a semi-circle. It’s a cool vibe that feels less musically produced and more emotionally intimate, and requires the musicians to be more attentive to one another in the sonic space of the song we share. As soon as we arrived in Legazpi, our trip has been “unplugged.” Literally. Large portions of the city had been without power for up to three days prior to our arrival, and large-scale brownouts have affected the city each day we’ve been here. And this has had an effect on our ministry abilities and on us personally. Our primary goal is to train worship teams from over a dozen different churches. But without electricity, we can’t play the electric guitars, basses, or keyboards, can’t amplify our voices, and can’t even provide adequate air-conditioned venues for the attendees to gather. It is impractical (and almost torturous in this high heat and humidity) to try to teach 100 people in a single room without amplification and power. Personally, it is having an effect on us as well. Our hosts have been magnificent in accommodating our needs, but we are still without power sporadically for air-conditioning, refrigeration and cooking, running our laptops, smart phones, musical instruments, printers, and internet. Sermons, Bible references, music charts, and even the most basic of resources are out of reach when we are without power. But there is much to be thankful for. God has provided us with a large and adequate venue each evening thus far. The attendees are eager and talented, and each session is abundantly productive and satisfying, much more than our expectations. I can tell that they are getting what we are teaching—both musically and otherwise—and I am excited for their churches as they take what we are teaching and apply it in the future. And I’ve been told that the word is getting out as well, as more and more people are joining the workshops each day. And this is what keeps Nate and I going. The smiles of the people, the light bulbs going off over their heads, the deep God conversations, the sweet sound of worship emanating from their mouths, their instruments, their hearts. Surely we’re playing this trip “unplugged”…less produced and more intimate, requiring us to be more attentive to one another in the sonic space of the Song we share. After an extremely long trip, we are finally in Legazpi City, Philippines. The 26-hour trip, including a two-hour delay on the tarmac in Narita, Japan, landed us in Manila, where we took a day to adjust to the 15-hour time difference, before flying onward to Legazpi. 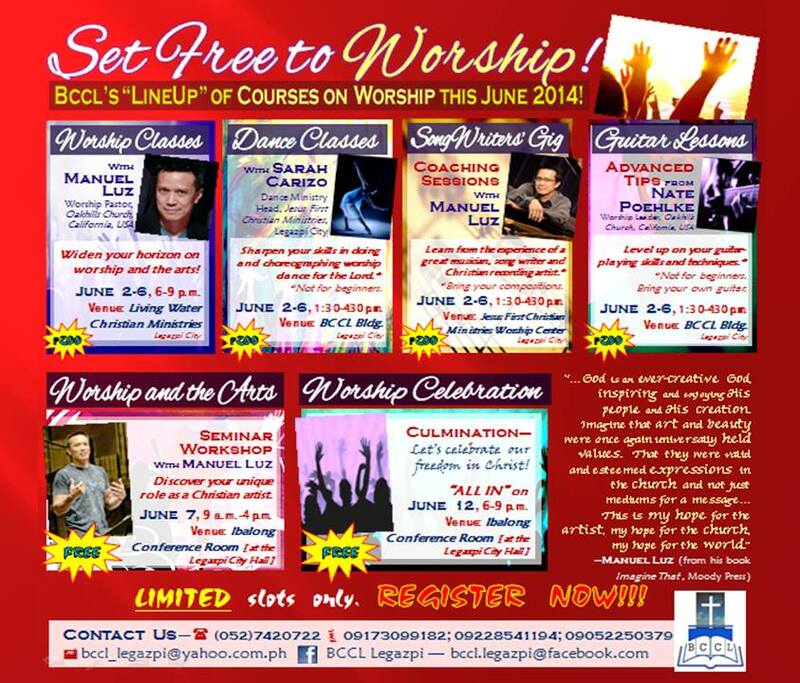 We are excited to see our friends at the Bicol Center for Christian Leadership, who have welcomed us with open arms. On Sunday, we attended Jesus First Christian Church and were warmly welcomed to a lively worship service of music, sermon, and communion (all in Tagalog), a family-style lunch (all Filipino food), and a short program (featuring some amazing dancers and more music). We also shared some music with them as well. Mayette Altivo-Bueno, the head of BCCL, has informed me that we have almost a dozen worship teams signed up for our week of workshops (about 80-90 people, which is capacity for the room). We also have a handful of people signed up for our songwriter’s coaching sessions, and Nate Poehlke, the talented young man joining me on this trip, will be busy with about a dozen people in his advanced guitar lessons classes. This is a tremendous response, and I’m grateful for it. What is still unknown is how many people will be participating in a one-day faith and arts seminar that I will be doing the following Saturday, or whatever preaching I may or may not do on Sundays. 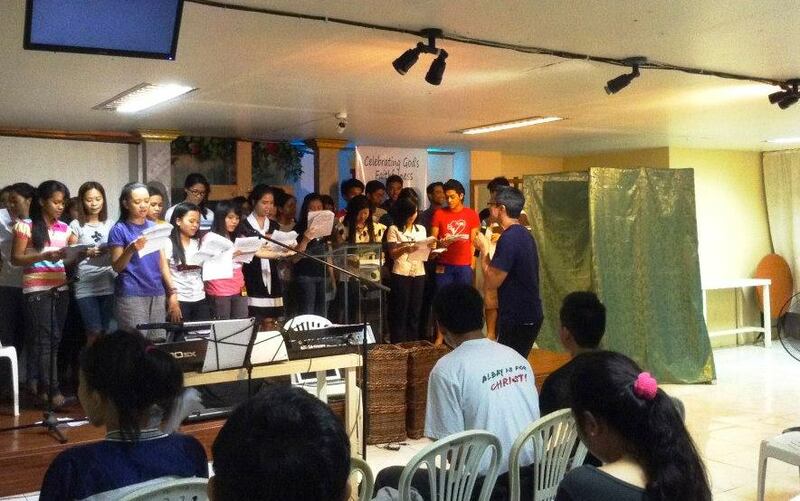 Our trip will culminate in a large-scale, all-churches Worship Concert on their Philippine Independence Day, June 12. I will lead and speak at this event. This afternoon, we begin the series of songwriter, dance, and worship team workshops (please see the poster for details). Our trip has not been without challenges thus far. • Nate Poehlke is suffering from continued motion sickness related to the long flights. He’s been a real trooper with this, but I can tell from his forced smiles that he’s struggling at times. He’s gotten some medicine which hopefully will help. Please pray for his occasional bouts of dizziness and nausea. • When we arrived, we found out that large portions of Legazpi have been experiencing brown outs for the last three days. BCCL had no electricity during that time so we had to stay in a hotel the first day. Power was restored in time for Sunday service, but it is extremely quite intermittent. This poses two problems. One, there is no relief from the high heat and humidity, and simple things, like storing our food in the fridge or cooking in the guest house or charging up the cell phone, become difficult. Two, without power, we simply cannot conduct our sessions. Electric guitars, keyboards, sound systems, and our meeting places (especially our evening session) need power. Please pray that this wouldn’t deter us from ministry. • Legazpi and the entire region sit at the foot of the Mayon volcano, known as one of the most symmetrical volcanoes in the world. Rising majestically ten thousand feet like a blue-violet pyramid, it is in a word: breathtaking. We have a beautiful view of it from our apartment terrace. I find on this trip that it is currently active and quietly spewing away, like a squatting giant puffing on a cigar. • If you know me, I love Filipino food. And if you really know me, you know that food is one of my love languages. So I’m eating a lot of white rice and local foods, and feeling the love. So far, pork adobo, beef tapa, fresh mangos, and longaniza. On the down side, it is pretty impossible to get a good cup of coffee here. Always one to be prepared, I’ve brought a big package of Starbucks Via® with me. • A special thanks to those who donated so that we can gift the ministries and musicians here with drumsticks, guitar strings, mic cables, guitar picks and other paraphernalia, and an electric guitar and Line 6 effects unit. They are quite needy in these areas, and it will be much appreciated. • Our hosts, Mayette and her husband, Pastor Tony Bueno, took us sight seeing at Legazpi Boulevard, where there is a sea walk. 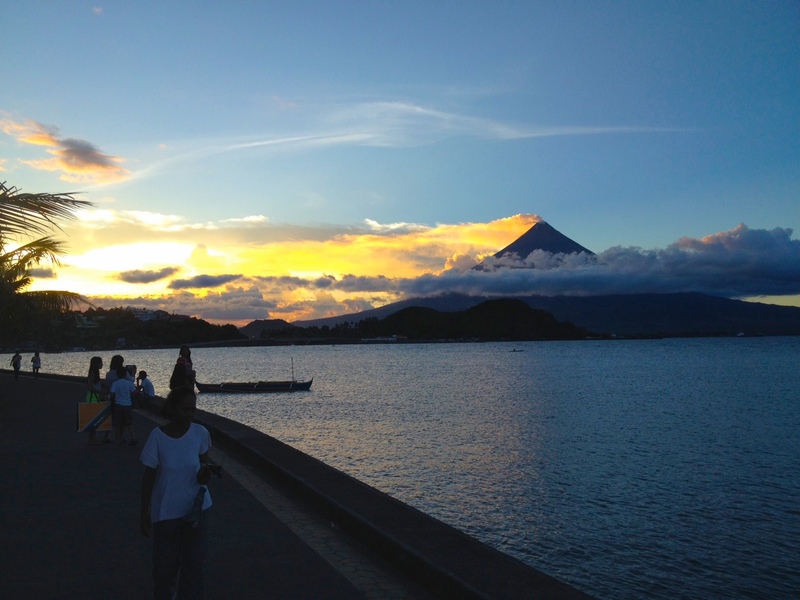 Pictured at top is the sun setting behind the Mayon volcano. Posted in art, Blog, Imagine That, missions, Philippines, worship, worship leaderTagged art, faith, worshipBookmark the permalink. welcome to Legazpi City, Philippines Ptr. Manuel! 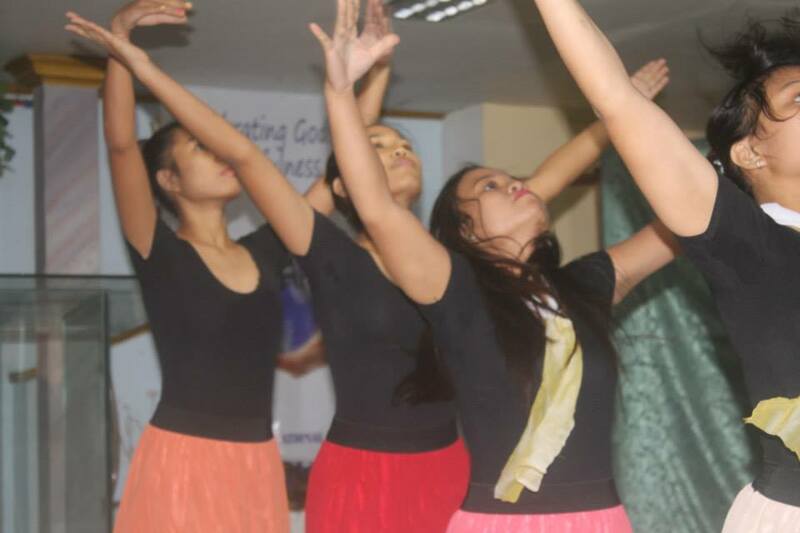 Praise GOD for the great opportunity in sharing your GOD-gift-talent in music and worship to the Bicol youth. May the grace of our Sovereign GOD, the love of our LORD JESUS CHRIST and the fellowship of our LORD HOLY SPIRIT be with you always and forever! Thank you so much Meg. I truly have felt welcome in Legazpi. God bless you as well. More of that coconut juice might help with the dizziness and nausea as well as the heat and humidity to hydrate yourselves.